Pench National Park is a wild playground harboring country's maximum density of prey animals, chased by estimated 65 Tigers. 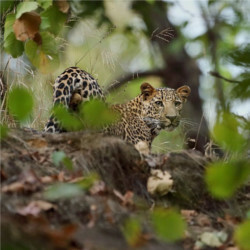 In 1983, it was declared a National Park and in 1992, a tiger reserve. 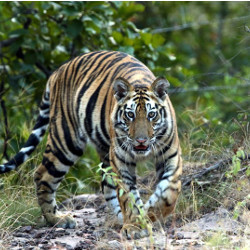 Pench Tiger Reserve is spread across 1,180sq km, including a buffer zone of 768sq km. 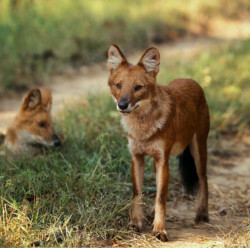 Pench National Park is situated under the Seoni and Chhindwara administrative districts of Madhya Pradesh and shares southern boundary with Maharashtra and hence is accessible from Maharashtra as well. There are three gates to the park, namely the Turia Gate, the Karmajhiri Gate and the Jamatra Gate. It has an appealing landscape of dry and moist deciduous forest and Teak is the major tree of the region along with a mix of Saja, Mahua and Indian Ghost trees. The vegetation is of undulating scrublands as well as bamboo patches around hilly areas. The park has 39 recorded species of mammals, 210 species of migrant and resident birds and estimated 30 species of reptiles. 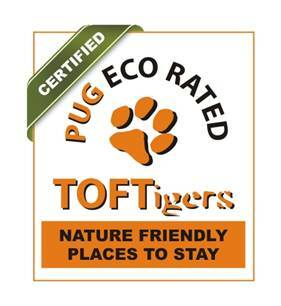 The park is known for good sightings of Tiger, Wild Dogs, Jackals and many other mammals & birds. • Sir Rudyard Kipling's The Jungle Book. We have kept copies of the book and the movies at the lodge and you are welcome to enjoy at your leisure during your stay with us.